British horse racing has been stopped in its tracks until at least Wednesday the thirteenth of February amidst fears that an outbreak of equine flu could be about to hit the industry. The hope is that a decision to stop all racing for the time being will reduce the possibility of the disease spreading any further, with the illness being extremely infectious for horses in close proximity to each other. What Exactly is Equine Flu? 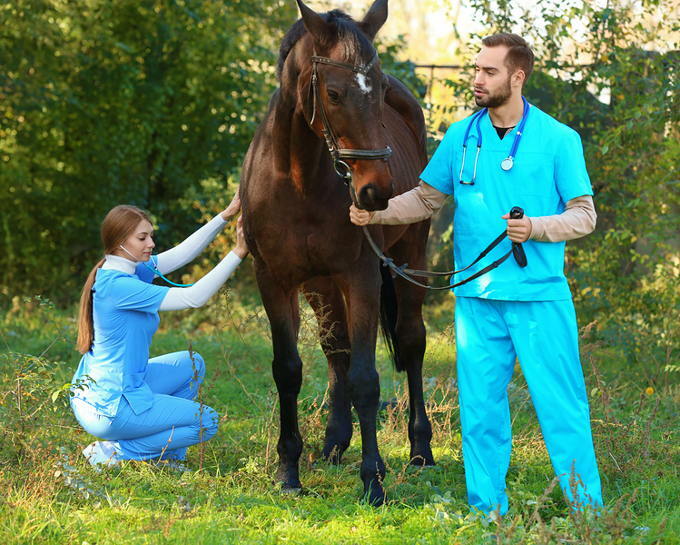 Equine flu is, as the name suggests, the horse variation of influenza. Its symptoms can be considered to be similar to the human version, including a high temperature, lethargy, nasal discharge and a hacking cough. It causes damage to a horse’s respiratory system and can take months to fully recover from. The infectious nature of the illness means that the British Horseracing Authority took the step of abandoning any race meetings until Wednesday at the earliest in order to reduce the chance of any more horses getting it. The incubation period is thought to be three days, so the BHA felt thatsuspending racing until the thirteenth would allow them time to ensure that no more positive cases of the illness were reported and then give time for declarations to be made for race meetings on the Wednesday. In a statement released by the National Trainers Federation, Donald McCain, the son of Red Rum trainer Ginger McCain, confirmed that the three positive cases of equine flu had emerged from his Bankhouse Stables in Cheshire. He had been made aware of cases of the illness in France and was on the lookout for his own horse’s well-being, noticing that three of his horses were not well and getting his veterinary surgeon to investigate. This investigation included the testing of the horses, with confirmation coming back to Bankhouse Stables that the horses did indeed have equine flu. 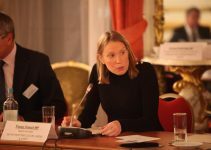 They alerted the British Horseracing Authority immediately and the organisation chose to cancel all races until Wednesday at the earliest on the back of scientific advice and discussion with participants. The problem for the BHA was that horses from Bankhouse Stables had participated in races at Wolverhampton, Ayr and Ludlow, bringing them in contact with horses from other stables around the country. The news that equine flu is present in some horse isn’t a worry in and of itself, with horses reported to have shown signs of the illness in England, Germany, Belgium and France in mid-January. The reason this recent outbreak has caused alarm, however, comes from the fact that it is vaccinated horses that have been taken ill. All horses get regular vaccinations against a number of illnesses, with equine flu being high on the list. The horses reported to be suffering from it earlier in the year were unvaccinated, but the fact that it has now spread to those that have had the vaccine mean that some in the industry are fearing that the illness could be spread quickly from stable to stable with nothing to protect the animals from getting it. Speaking to the BBC, Sean Mullins made the point that seventy to a hundred horses from different stables all across the country are kept in close proximity to each other when meetings take place, meaning that the disease can be spread quite easily if nothing is done to mitigate the risk. With the vaccine itself seemingly making no difference, the only option left open to the BHA has been to cancel meetings due to take place over the next couple of days. It is that, more than anything else, that is causing concern in the horse racing industry, considering the cancellations of meetings such as the one at Musselburgh over the weekend will cost a lot of money. Might Cheltenham Be At Risk? The BBC’s racing correspondent Cornelius Lysaght was quick to point out that this could not have come at a worse time for racing, being just a month or so before the Cheltenham Festival is due to get underway. At the moment there are no concrete suggestions that the Festival is even close to being abandoned, but the fact that horses can take months to recover from equine flu might, at the very least, mean that some of the competitors that trainers will have been hoping to enter into the meeting might not be able to make it. There’s also the fact that, if the suspension carries on past Wednesday, some of the important meetings that occur before the Festival and give owners and trainers a chance to suss out which horses they should enter into which races might also have to be abandoned or put back. When severe weather hits a race meeting is usually run a couple of days later, but when it’s a health issue that causes the BHA to suspend racing it’s not as easy to get things back on track. Many in the industry are comparing this to the 2001 outbreak of foot-and-mouth disease in the sense that it is likely to limit the movement of horses if any further positive tests are returned. Whilst British racing is being forced to take stock of the current situation, the racing over in Ireland will carry on as normal according to the Irish Horseracing Regulatory Board and Horse Racing Ireland. The two organisations released a joint statement saying that the races would continue as planned but that ‘runners from Britain will not be permitted to run’. There had been isolated incidents of the illness across Ireland prior to the news emerging of McCain’s three stable horses being confirmed as having equine flu this week, but it was felt by the Vetinary Committee, the IHRB and the Irish Equine Centre that the risk to Irish horses hadn’t changed. Gordon Elliott’s stables are based in County Meath, Ireland and he had five runners in the races at Ayr that were attended by horses from McCain’s yard, but thankfully he was contacted before leaving to head back to Ireland and he has been able to keep those horses in a separate facility miles from his stables until more about their condition is known.